For the softest, creamiest, most luxurious suds imaginable, grab a great big slice of Snowcake and float away on a cloud of almond marzipan and rose absolute. Snowcake smells exactly like our Smitten hand cream, and is an all time holiday favourite among staff and customers alike. It softens and cleans your body and scents it with a long-lasting almond fragrance. The blend of rose, cassie and benzoin gives Snowcake its irresistible scent; but those oils are also great for the skin, too. Your body will be silky smooth and ready to face the cold outside. Lather onto hands or shower puff. 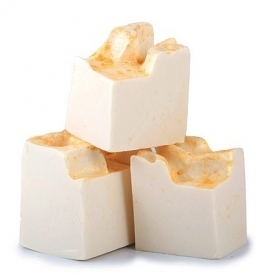 For optimal longevity, keep Lush soap in a well-drained soap dish (away from water) between uses. Water, Propylene Glycol, Rapeseed Oil and Coconut Oil, Perfume, Sodium Stearate, Sodium Laureth Sulfate, Sodium Laureth Sulfate, Sodium Hydroxide, Titanium Dioxide, Benzoin Resinoid, Rose Absolute, Cassie Absolute, Sodium Chloride, Glycerine, EDTA, Tetrasodium Etidronate, Benzyl Benzoate, Golden Lustre. This has sweet smell, like almond cake. I love this soap and wish it was around all year. It gives moisture and very creamy. 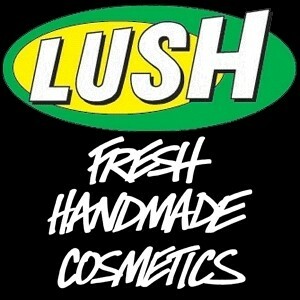 The best soap of Lush. Has glam look with the decoration on it. Expensive soap. I wish this was not a Christmas treat as it is so beautifully creamy and soft and smells of creamy almonds. Think of a almond custard pudding and that will give you an idea of the smell. The lather is creamy and soft and makes my skin feel nice and soft and not at all tight after using. the scent is subtle enought to be okay for both men and women. Lush Snowcake: Christmas in a soap. A great scent that reminds you of Christmas. Produces a creamy lather. Wonderfully soothing, and isn't too harsh for sensitive skin. It's so soft and creamy that it doesn't last as long as some other soaps. An affordable soap with a lovely scent. It's a Christmas 'must-have' (part of Lush's Christmas range, but does tend to appear each year). this soap is from lush's christmas range.